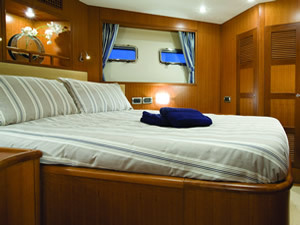 Marine Bedding Company is a specialist manufacturer and supplier of bespoke, custom made boat mattresses and boat bedding. Specifically designed for use in boats, yachts, superyachts, motorhomes and caravans. We are able to supply both in the UK and worldwide. Marine Bedding Company has a wide range of materials and components to ensure you have the perfect combination mattress to give you a comfortable night’s sleep. Together with our beautiful fabrics, all of which are 100% cotton or cotton linen, we can make your perfect shaped bedding to ensure you have a relaxing night aboard. Marine Bedding Company prides ourselves on providing a personal service, offering a personal templating service to ensure that perfect mattress fit, interior design service to ensure your cabin has a beautiful but functional look and a personal delivery service. Marine Bedding Company is also the owner of the DryMesh™ under mattress ventilation layer to prevent dampness and mould build up. Marine Bedding Company is the owner of the DryMesh under mattress ventilation layer to prevent dampness and mould build up. DryMesh has been used in the leisure and commercial markets for over 5 years providing many thousands of clients with a comfortable and dry mattresses. 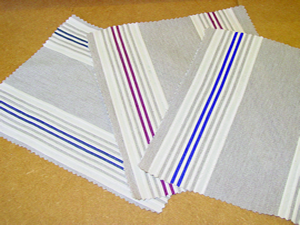 DryMesh is available from only £33.30 per metre cut to length. 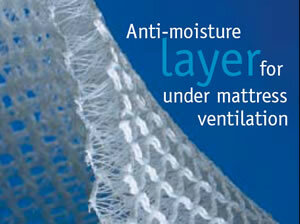 Order any mattress and get DryMesh free! Our boat mattresses are designed to fit any size or shape, specifically crafted for marine use to minimise the retention of dampness, whilst providing full lumber support and a comfortable night on board. Our range of boat bedding and mattresses are not only ideally suited to the marine environment but are also a great upgrade for your motorhome or caravan. To ensure your boat mattresses arrive as good as they left our workshop, wherever possible, we use our own van for delivery. Let Marine Bedding take the hassle out of your purchase. 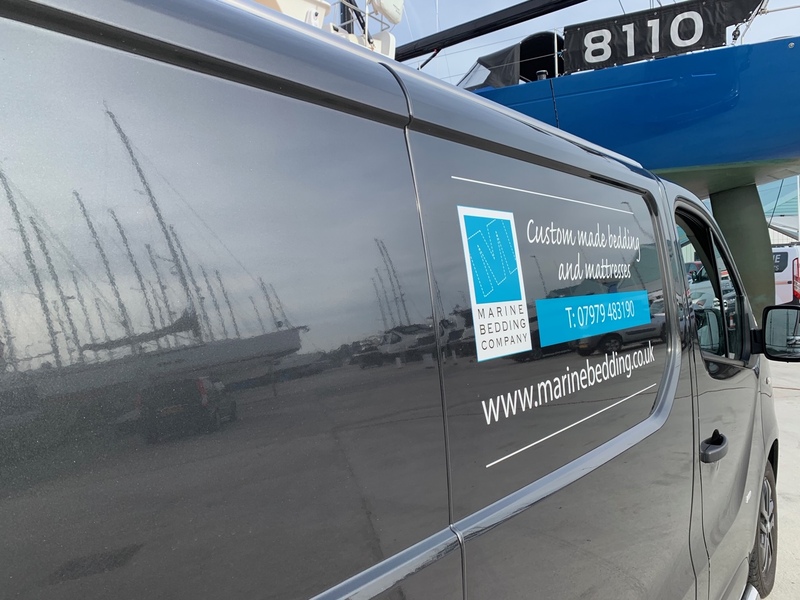 For those of you living in the Channel Islands, South Pier Marine are now appointed dealers for Marine Bedding Company's range of bespoke, custom made boat mattresses and boat bedding. 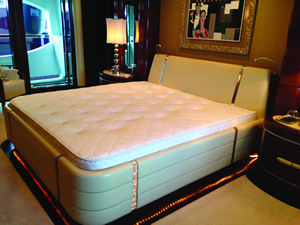 South Pier Marine offers a personal templating service to ensure a perfect mattress fit, a personal design service to create a beautiful but functional interior, and a personal delivery service.